After waiting a while to get to ride the Sedona again, the weather cleared up just enough to let me ride. Lately, the weather has been cold and nasty. 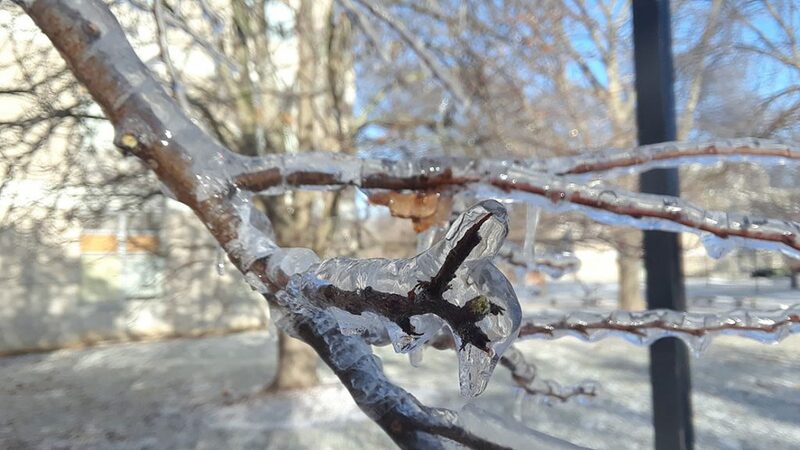 Ice has covered roads and sidewalks, and it’s been far too cold, windy and just overall nasty to even attempt to ride a bike without multiple layers of clothing and studded tires. Finally, though, the nasty weather broke. Today was warm enough that some of the ice melted and I deemed it okay to take the Sedona out for a spin. The only caveat today was the wind. Thankfully, it subsided mid-day to a gentle breeze. While the temperature was a little nippy, gloves and a coat took care of that. While my ride went fine, it wouldn’t be complete without a blowout. While the tire didn’t literally blowout, it did go flat. Twice. I haven’t had the best luck with Kenda tubes. Needless to say, the tube went straight into the trash. But what about the Kent (“Good-Year”) tube I purchased as a spare? Thankfully, I had that tube on me and got it installed. Changing the tire on the Sedona is much easier than with the Pinnacle, thanks to the various quick-release mechanisms on the wheel and brake. 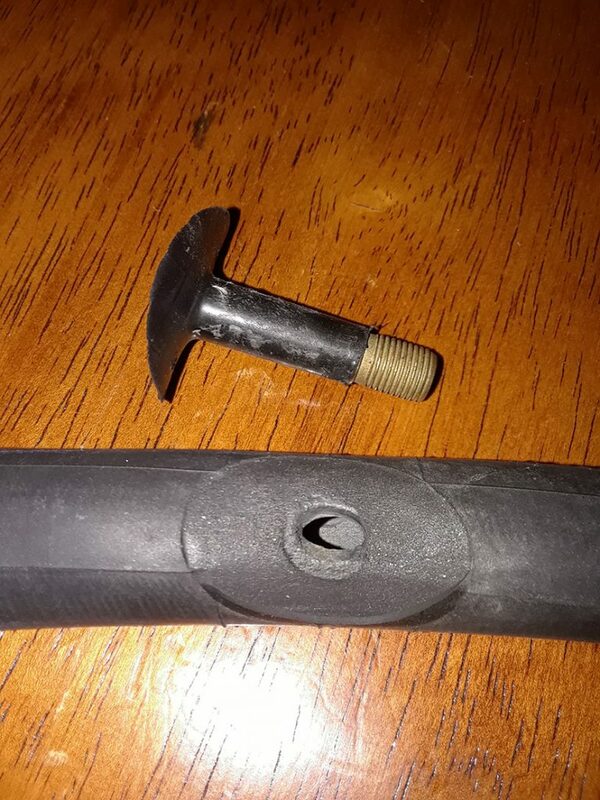 Changing a tube is essentially a tool-less job on the Sedona, although tire levers are handy. So, I went to get dinner. After eating, I come back out to discover the tire went flat – again. This time, the tube had a gash in it. I looked inside the tire, carefully inspected the tire casing, the rim, the rim strip and everything. I also made sure there were no foreign objects inside of the tire, or no spots that may have rubbed into the tube to cause it to fail. After carefully inspecting anything and everything, I found nothing. I must’ve been the unlucky guy to pick up a dud tube. 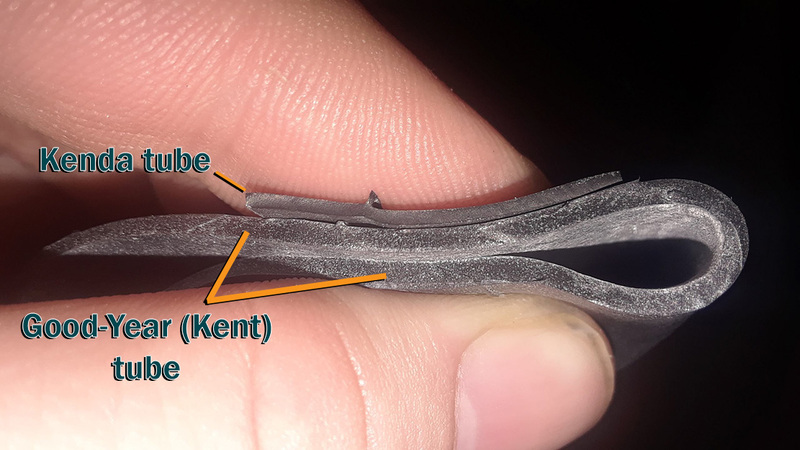 The Good-Year tube was much, much thicker than the standard Kenda tube – as the graphic below displays. 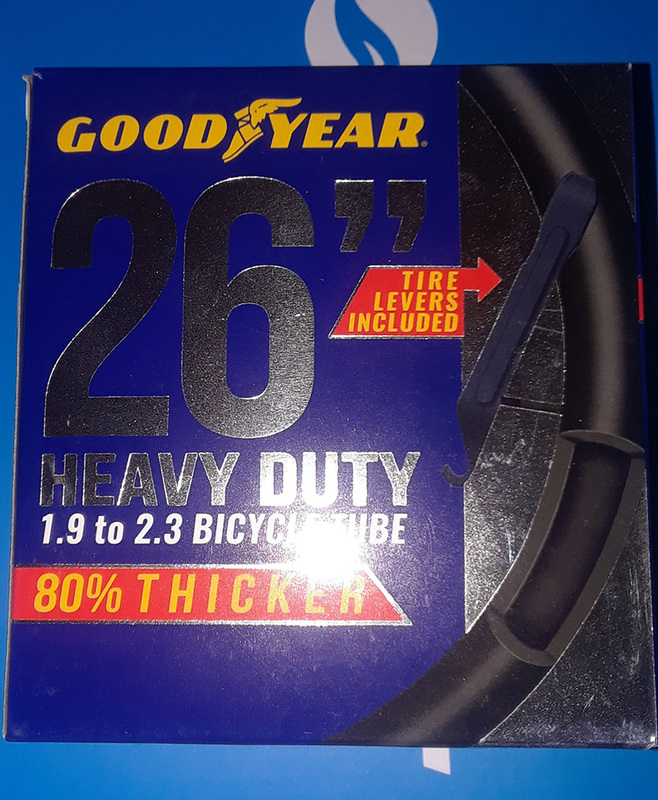 Good-Year (Kent) advertises their tubes are 80% thicker than the competition… which is likely correct. I ended up going to Walmart and picking up a basic, Bell/CST tube that I have had mixed (mostly negative) results with. I’m looking at purchasing a better tube which I may discuss in a future post because it’s more “special” than the average tube. While the tire was giving me problem, I was able to test out the basic $20 Bell lighting kit I purchased for this bike some more. That light kit works fairly well. It is more useful to be seen than to see, but that is okay since I stay fairly close to home and there are street lights around here. But even in darker regions the light kit did a okay job to let me see what is in front of me. I also made some more adjustments to the Sedona to make it more comfortable. When I got this bike, the seat position was super uncomfortable – at least to me. 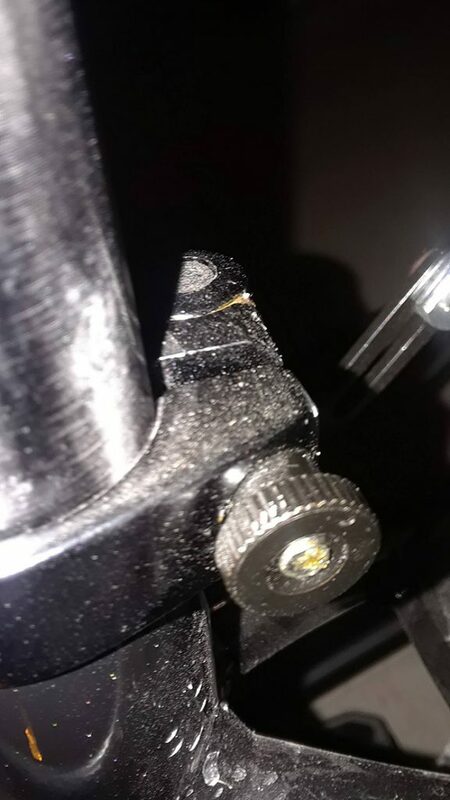 With the use of the seat quick release lever, I was able to fix that. The Sedona’s seat even has a quick release lever for the seat height! The seat, however, didn’t stay in its new position for long. After a minute or so of riding, the seat would fall back into its default, lowest position. 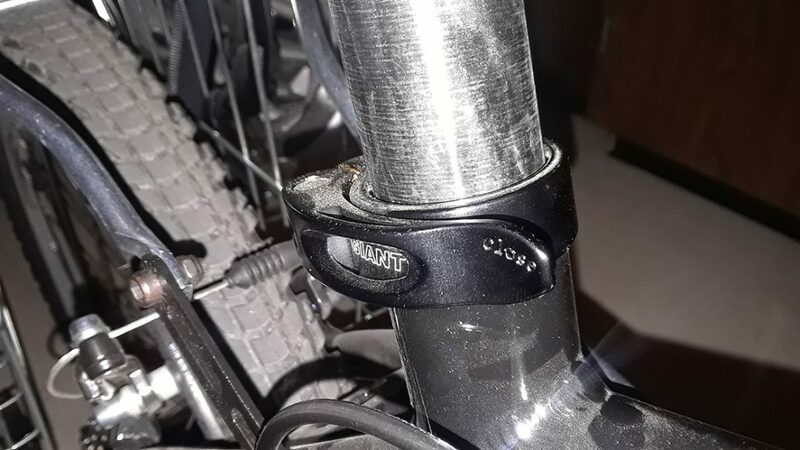 A adjustment knob on the other side of the seat post adjusted the tension of the lever, which fixed the problem. Since, the seat hasn’t moved an inch. I’m still trying to get used to the Sedona. At least to me for right now, the Sedona seems to not perform nearly as well as the Pinnacle on hills. But perhaps I’m out-of-shape and just need to get back in shape. Next Next post: Cycling in the Snow?